911-228B Value Series - 3.5" O.D. 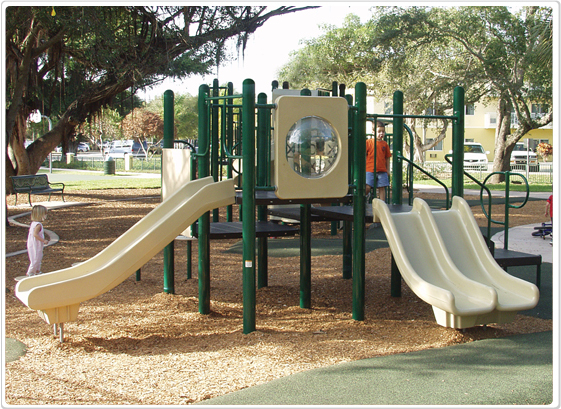 Lauren playground structure is a good looking model intended for kids up to 12 years of age. This durable playground equipment comes in green posts and tan plastics . It has four successive decks, two slides, a bubble window, a finger maze panel, tic tac toe, Stepping stones and a transfer station. Can be purchased at 5" OD post (mega series) if desired.